Chris Sale’s night in Cleveland on Thursday was shockingly bad by the Cy Young frontrunner’s 2017 standards, but unsurprising given what the Indians have done to Sale in his career. 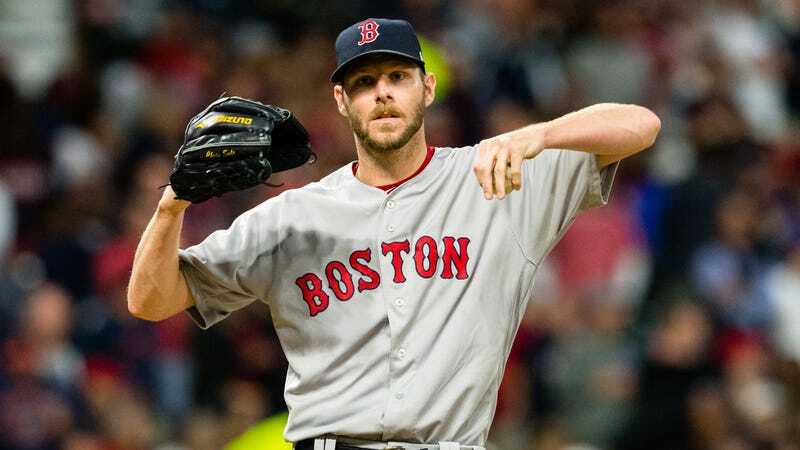 In an eventual 13-6 loss for the Red Sox, Sale gave up six earned runs (seven total) on seven hits and three walks. It was his shortest outing of the season, and also the second-most earned runs he’s surrendered in a start in 2017. When did he surrender the most earned runs? That was also against Cleveland, just earlier this month, when Sale pitched five and gave up seven in what eventually became the best game of the year so far. In fact, in his last three starts against Cleveland, dating back to 2016, Sale has pitched just 11.1 innings and given up 19 earned runs. This doesn’t appear to just be a case of small sample size, either. Throughout his career, no team has touched Sale up like the Indians have, leading to a career 4.72 ERA against Cleveland in 118.2 innings pitched, compared just 2.98 overall. Sale isn’t the only familiar foe who has trouble against Cleveland. Justin Verlander’s struggles against the Indians got so disturbing that early this season there was controversy over whether JV was tipping his pitches. But if Terry Francona and his team have the secret to beating the best pitcher in baseball, they’re being coy about it. In a 162-game season, Sale’s infrequent struggles don’t really add up to much, and nobody in Boston is going to be mad when he takes the mound against the Indians in the playoffs. Starting Chris Sale is the closest Boston (or anyone else) can get to guaranteeing a win. But one or two bad playoff starts by an ace can derail a team’s World Series hopes in a hurry (just ask the Dodgers). Superman can only do so much if the other team has kryptonite bats.